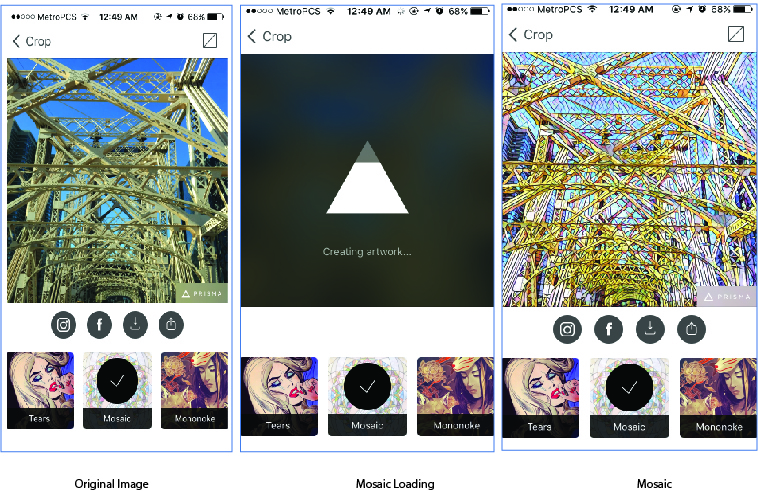 PRISMA – Prisma transforms your photos with the use of art filters and photo effects. 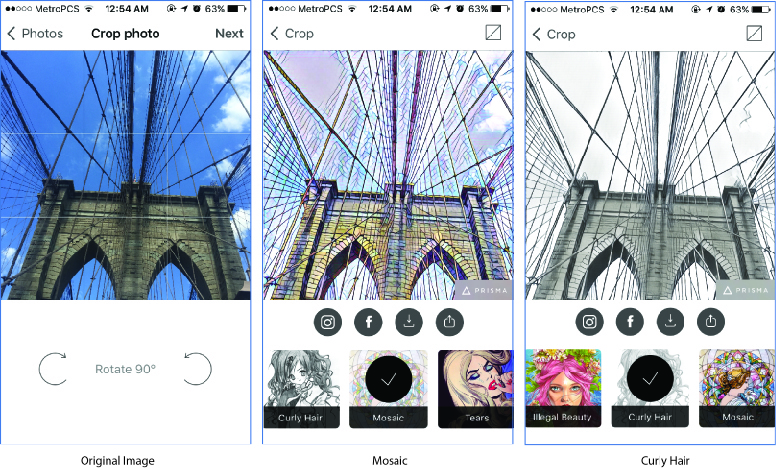 It is very simple to navigate, with the user uploading a photo and choosing from a variety of filter options to transform each photo into a work of art. 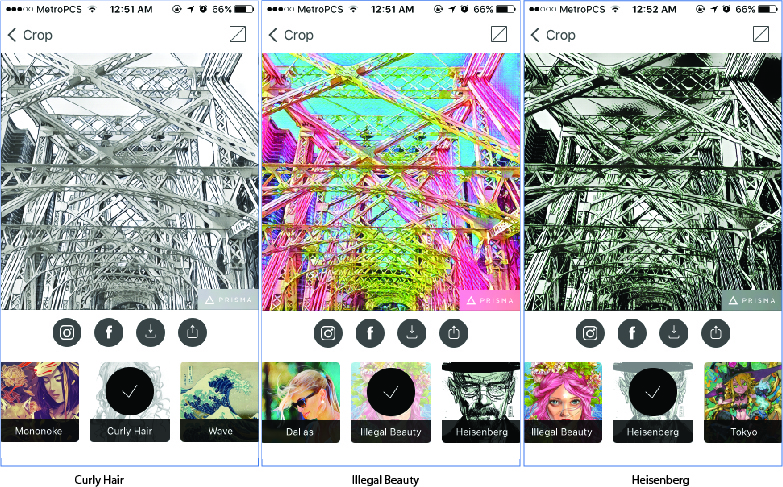 Prisma can be quite addictive, and each “artwork” can then be further used in so many different ways or incorporated within a design. Here is an image I took of the Brooklyn Bridge with my Iphone 6. I uploaded it to Prisma and first selected the Mosaic effect and then secondly Curly Hair. The comparison between these two effects are drastically different and can be integrated into a comic book or other form of animation or design. Below is my original image of the Ed Koch Bridge, again taken with my Iphone 6, and what it looks like when the effect is being created. Once again, I selected the Mosiac option and was blown away with the result. You can also view three other selections I played around with : Curly Hair, Illegal Beauty and Heisenberg. 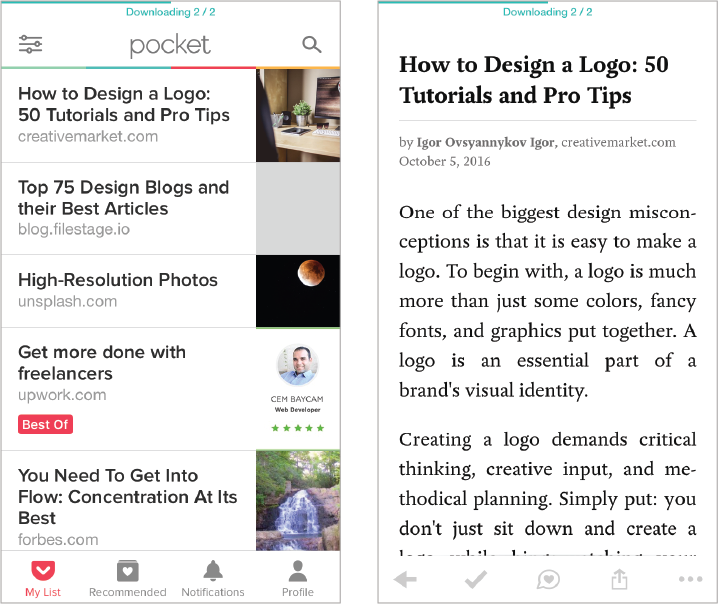 POCKET- Have you ever come across an article, video or any content while browsing the web, and thought I’ll come back to that and read it later? And then you never do…or worse, forget what it was and lost your chance. 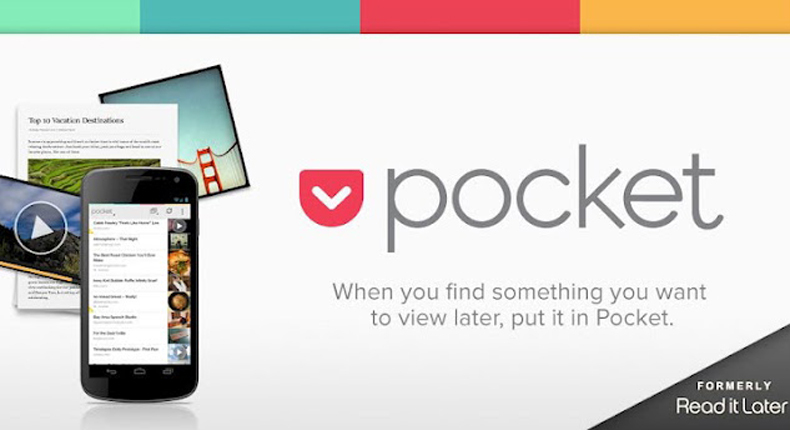 Well that’s where Pocket comes in. It saves all your web content all in one place. Save it on your desktop and then read it later on your phone on-the-go. 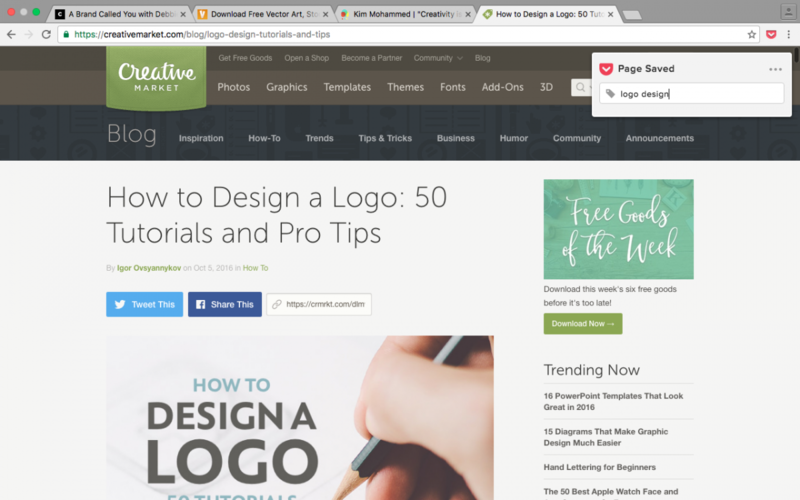 I came across the Pocket extension from Google Chrome a few months back, and it has been my second brain ever since. 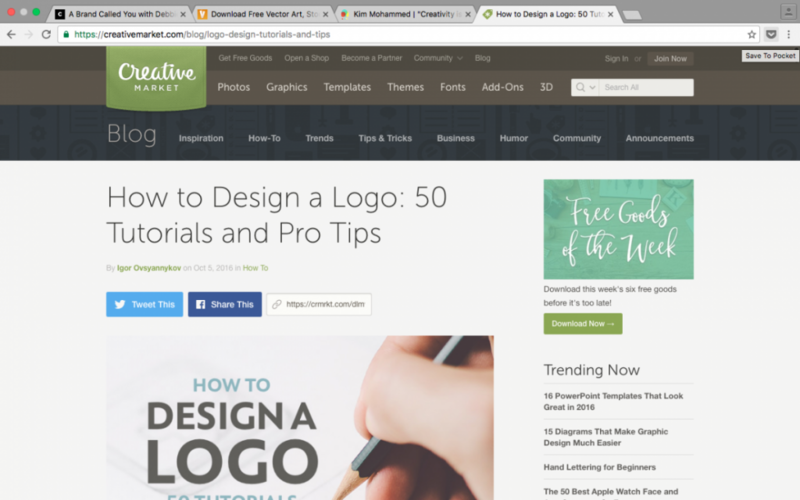 In the screenshot below, is an interesting article on Creative Market I wanted to read, but didn’t have time at the moment, so I saved it to Pocket and was able to access it at a more convenient time. Toward the upper right corner of the image, there’s a little arrow icon, which I hovered over and the words ‘Save to Pocket”appeared. After clicking the arrow icon, this box pops up, which tells you that the page was saved, and also gives you the choice to add tags, or name your article. 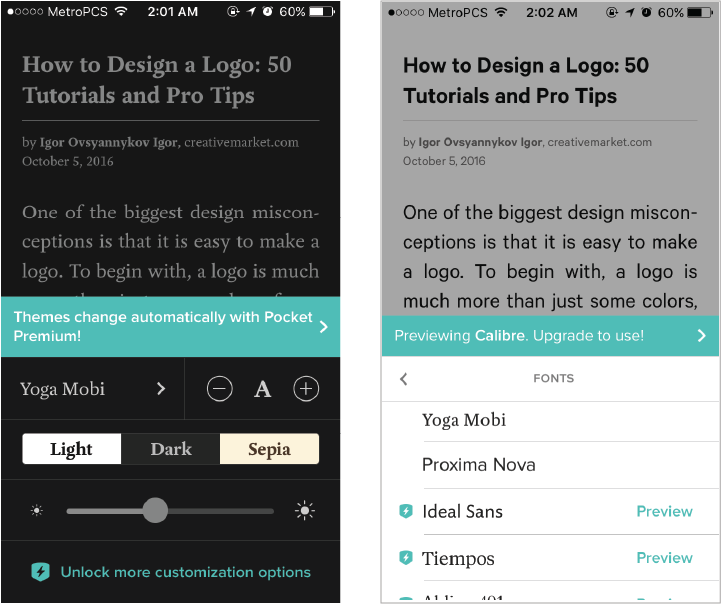 Here we have screenshots of the mobile app, and my list of articles that I have saved in the past. There you can see the first article is the one I saved on my desktop. There are even more customization tools, to have a light or dark background. Or even formatting the fonts, as shown in the images below. This entry was posted in Coursework and tagged app review, pocket app, prisma app on October 16, 2016 by Kim Mohammed.